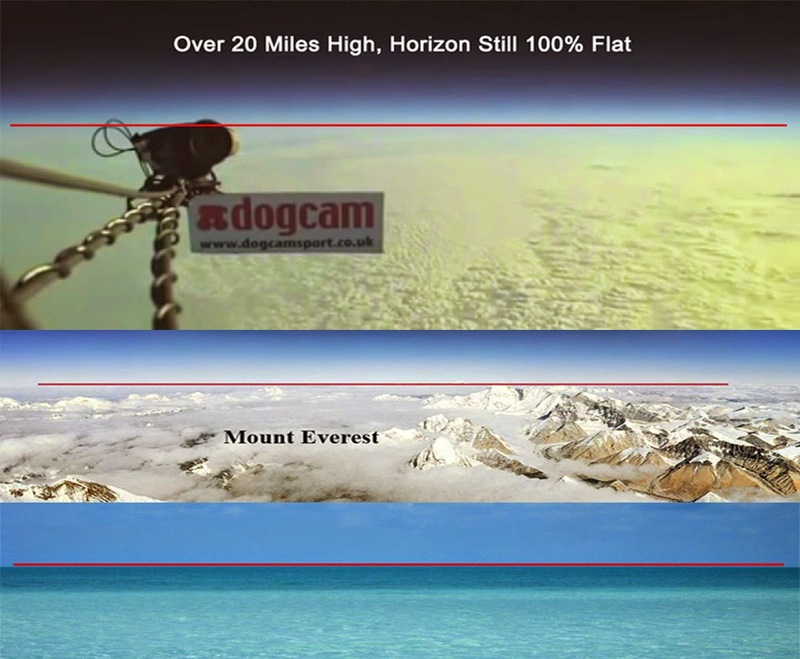 Whether at sea-level, the top of Mount Everest, or flying over a hundred thousand feet in the air, the always horizontal horizon line always rises up to meet the eye-level of the observer and remains perfectly flat. You can test for yourself on a beach or hilltop, in a large field or desert, aboard a hot-air balloon or helicopter; you will see the panoramic horizon ascend with you and remain completely level all around. If the Earth were actually a big ball, however, the horizon should sink as you ascend, not rise to your eye-level, and it would dip at each end of your periphery, not remain flat all around. Standing in a rising balloon, you would have to look downwards to the horizon; the highest point of the ball-Earth would be directly beneath you and declining on each side. Amateurs have sent balloons to heights of over 121,000 feet and you can watch video online of the horizon rising with the camera-level and remaining perfectly flat 360 degrees around. 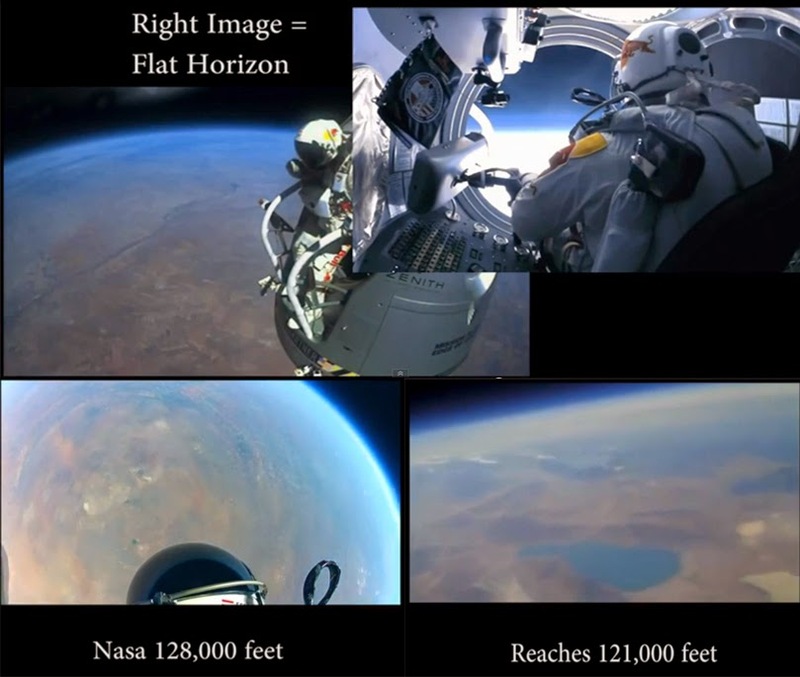 NASA videos and other “official” sources, however, such as the recent Red Bull skydive at 128,000 feet have been caught adding fake curvature to the Earth via wide-angle lenses and post-production work. Panoramic photos atop Mount Everest also often claim to be displaying Earth’s curvature, but this is simply the result of distortions and limitations inherent in wide-angle lenses. I have exposed the full extent of NASA’s camera trickery and doctored CGI sphere Earth pictures/videos here, here and here. If the Earth were actually a big ball 25,000 miles in circumference, the horizon would be noticeably curved (even at sea-level), and everything on or approaching the horizon would appear to tilt backwards slightly from your perspective. Distant buildings along the horizon would all look like leaning towers of Piza falling away from the observer. A hot-air balloon taking off then drifting steadily away from you, on a ball-Earth would slowly and constantly appear to lean back more and more the farther away it flew, the bottom of the basket coming gradually into view as the top of the balloon disappears from sight. In reality, however, buildings, balloons, trees, people, anything and everything at right angles to the ground/horizon remains so regardless the distance of the observer. 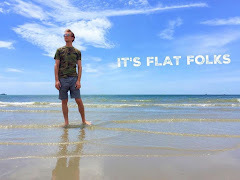 Anyone can prove the sea-horizon perfectly straight and the entire Earth perfectly flat using nothing more than a level, tripods and a wooden plank. At any altitude above sea-level, simply fix a 6-12 foot long, smooth, leveled board edgewise upon tripods and observe the skyline from eye-level behind it. The distant horizon will always align perfectly parallel with the upper edge of the board. Furthermore, if you move in a half-circle from one end of the board to the other whilst observing the skyline over the upper edge, you will be able to trace a clear, flat 10-20 miles depending on your altitude. This would be impossible if the Earth were a globe and the surface of water convex! If the Earth were actually a globe 25,000 miles in circumference, the horizon would align over the center of the board but then gradually, noticeably decline towards the extremities. Just ten miles on each side would necessitate an easily visible curvature of 66.6 feet from each end to the center. From the highland near Portsmouth Harbor in Hampshire, England looking across Spithead to the Isle of Wight, the entire base of the island, where water and land come together composes a perfectly straight line 22 statute miles long. According to the ball-Earth theory, the Isle of Wight should decline 80 feet from the center on each side to account for the necessary curvature. The cross-hairs of a good theodolite directed there, however, have repeatedly shown the land and water line to be perfectly level. On a clear day from the highland near Douglas Harbor on the Isle of Man, the whole length of the coast of North Wales is often plainly visible to the naked eye. From the Point of Ayr at the mouth of the River Dee to Holyhead comprises a 50 mile stretch which has also been repeatedly found to be perfectly horizontal. If the Earth actually had curvature of 8 inches per mile squared, as NASA and modern astronomy claim, the 50 mile length of Welsh coast seen along the horizon in Liverpool Bay would have to decline from the center-point an easily detectable 416 feet on each side! But how do you explain footage of the Earth from Space clearly showing it to be spherical? You seem to have a good against argument, but this could unravel it to the point of ridicule. PLUS, do you really think that this is being done by the Gov. in order to keep people down. I say this because i see plenty of proof that Science is being used to empower the human freedom of mind. Examples include Science now finding positive used for Psychadelic drugs, and confirming that the war on drugs was more of a politival thing than harm thing. I am looking forwards to your reply Eric, because no one has anything to gain about lying about the shape of the Earth, IMO. That could be seen to be a conspiracy theorist overstepping the mark in terms of reasonable explanation. 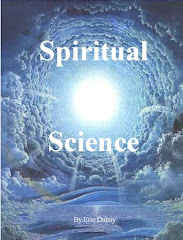 Science knows and accepts that it simply cannot explain the true origins of consciousness, etc. We therefore know that Science isn't the do all and end all. Therefore a flat Earth theory cannot be used to devalue our Spiritual selves. NASA is the biggest black budget black hole in existence sucking in over 30 billion dollars taxpayer money for the fake moon landings alone. But it is about much more than just money. You claim "a flat Earth theory cannot be used to devalue our spiritual sevles," yet this is exactly what has happened. 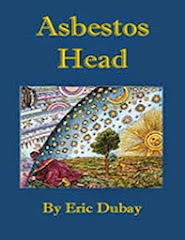 By removing Earth from the motionless center of the Universe, these Masons have moved us physically and metaphysically from a place of supreme importance to one of complete nihilistic indifference. If the Earth is the center of the Universe, then the ideas of God, creation, and a purpose for human existence are resplendent. But if the Earth is just one of billions of planets revolving around billions of stars in billions of galaxies, then the ideas of God, creation, and a specific purpose for Earth and human existence become highly implausible. By surreptitiously indoctrinating us into their scientific materialist Sun-worship, not only do we lose faith in anything beyond the material, we gain absolute faith in materiality, superficiality, status, selfishness, hedonism and consumerism. If there is no God, and everyone is just an accident, then all that really matters is me, me, me. They have turned Madonna, the Mother of God, into a material girl living in a material world. Their rich, powerful corporations with slick Sun-cult logos sell us idols to worship, slowly taking over the world while we tacitly believe their “science,” vote for their politicians, buy their products, listen to their music, and watch their movies, sacrificing our souls at the altar of materialism. Our eyes and experience tell us the Earth is flat and motionless, and everything in the sky revolves around us. When we cease to believe our own eyes and experience we must prostrate ourselves at the feet of the very pseudo-scientists who blinded us, to treat them as "experts," astronomical "priests" who have special knowledge only they can access, like the Hubble telescope. By brainwashing us of something so gigantic and fundamental, it makes every other kind of lesser indoctrination a piece of cake! Earth being the flat, fixed center of the universe, around which everything in the heavens revolves denotes a special importance and significance not only the Earth, but to us humans, the most intelligent among the intelligent designer's designs. By turning Earth into a spinning ball thrown around the Sun and shot through infinite space from a Godless Big Bang they turn humanity into a random meaningless, purposeless accident of a blind, dumb universe! It's trauma-based mind-control! They beat the divinity out of us with their mental manipulations. If the earth were flat, you would see the European coast from the American coast. In fact you can't even see the continental coast from the British coast. So explain that, if you dare!!! For everyone who asks why would 'they' cover up the fact the earth is flat. I have considered the possiblity that maybe there are other lands beyond the ice wall. Picture the earth plane like swiss xheese, the cheese represents an ice surface whilst the holes are habital pockets of land like our earth. The antarctic wall could stretch vast distances before another pocket of 'circular ' arranged land masses would exist. These other lands could be the fabled Shambala, atlantis, lemuria etc... And what the nazi's were searching for. Admiral byrd apparently flew past antartica and saw another land, he assumed he must of went inside the earth. Hmmmm. The sun, the moon, all observable planets ( including moons of Jupiter and Saturn) are all round as seen through my telescope with my own eyes.Yes. Telescopes can see millions to billions of miles out in space. So you saying telescopes are not strong enough to see 25, 000 miles is totally false.. Also planes travel around the earth, and people have actually flown around the earth. My uncle traveled to china from germany. Then on to Japan, Hawaii, and to the U.S. visited us awhile, and left NY back to germany. Around the world he went. The earth is round just like most of the objects in the solar system. I can not believe there are people that believe this flat earth theory. Its such an iron age fairy tale. If the earth is flat, why haven't you been to the edge of it or why havent you explain that in your article? Also if the earth is flat, why haven't people fallen off the edge of it????? This has to be the biggest piece of garbage I have ever read in my life. Earth is flat? If the planet was flat there was be an observable edge in which things would fall into the infinite void of space. Do you even know what science is? Have you ever taken a science class or talked to a scientist? Please please PLEASE go read a book that was written by a PhD and bring yourself up to speed with the rest of the species. Saying the earth is flat is just as bad as religious fanatics saying that the earth is only 5000 years old. Stop spreading ignorace. I'm waiting for the answer. Maybe he finally went to the edge and fell off. What do you think? I didn't have a rebuttle for the one point and I wondered what yours would have been. Thanks for the comments everyone. Maria, I'm not sure why you assume the Sun would change into an ellipse as it nears the horizon? In some ways it does change shape and become magnified especially on clear, humid days because of refraction you can see the lower part of the Sun setting or rising on the horizon magnifying and blurring outwards. The reason being that when light of any kind shines through a dense medium it appears larger, or rather gives a greater glare, at a given distance than when it is seen through a lighter medium. This is more remarkable when the medium holds aqueous particles or vapor in solution, as in a damp or foggy atmosphere. You can see this by standing within a few yards of a street lamp, and noticing the size of the light; on going away to many times the distance, the light upon the atmosphere will appear considerably larger. This phenomenon may be noticed, to a greater or less degree, at all times; but when the air is moist and vapory it is more intense. It is evident that at sunrise, and at sunset, the sun's light must shine through a greater length of atmospheric air than at mid-day; besides which, the air near the earth is both more dense, and holds more watery particles in solution, than the higher strata through which the sun shines at noonday; and hence the light must be dilated or magnified, as well as modified in color. Anonymous, they are round yes, but not spherical. Telescopes do not "see millions and billions of miles" to the stars! The stars are only 3,000 miles away from the surface of the Earth as measured by sextants and plane trigonometry. This has been known and calculated repeatedly for thousands of years, but suppressed and you're given a false cosmology instead. The stars are not "light-years" away and they are not "suns in other solar systems." Stars are stars, not suns, and our Sun is the only Sun. Earth is a plane, not a "planet." And "planets" were known throughout the ages as "wandering stars" because they differ from the fixed stars in their relative motions only. Seen through a telescope all the planets are merely round dots of light, not spherical terra firma capable of landing on as in NASA's CGI "photos." As for your example of East / West circumnavigation, this is just the same on a flat Earth and not evidence of Earth's rotundity. One of heliocentrist’s favorite “proofs” of their ball-Earth theory is the ability for ships and planes to circumnavigate, to sail or fly at right angles to the North Pole and eventually return to their original location. Since the North Pole and Antarctica are covered in ice and guarded “no-fly” zones, however, no ships or planes have ever been known to circumnavigate the Earth in North/South directions, only East/West; And herein lies the rub, East or West-bound circumnavigation can just as easily be performed on a flat plane as it can a globular sphere. Just as a compass can place its center-point on a flat piece of paper and trace a circle either way around the “pole,” so can a ship or plane circumnavigate a flat-Earth. The only kind of circumnavigation which could not happen on a flat-Earth is North/South-bound, which is likely the very reason for the heavily-enforced flight restrictions. Flight restrictions originating from none other than the United Nations, the same United Nations which haughtily uses a flat-Earth map as its official logo and flag! No independent exploration of Antarctica is allowed by the 47 UN treaty nations which guard it, so it's still a mystery whether Earth has an edge, a barrier or is an infinite plane. If the earth if flat, then how do you explain a "sunset" if you're on the east coast, and watching day turn to darkness, while someone in the Midwest or West Coast is still in bright sunshine? 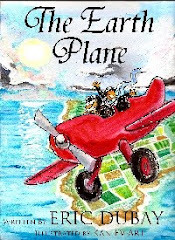 A perfectly level plane necessitates that the sun, if at some fixed point above the plane, would be visible from any point on the plane using simple line-of-sight. Even if the sun were like a flashlight pointed straight down, some narrow portion of it would be visible from every point on the plane unless the downward projecting light was at altitude 0, or level with the plane. We certainly shouldn't experience a typical round sunset, which could then become a "sunrise" a few minutes later by boarding an airplane and gaining altitude. Furthermore, I have witnessed the underside of high altitude cirrostratus clouds (overhead and to the west) being illuminated by direct sunlight 20 or 30 minutes after the sun has already disappeared below the horizon at the surface. The bottom of these flat plane clouds are clearly on a horizontal trajectory that places the source of illumination well below the straight line that extends along the cloud base. I could call my friend who lives half way across the state, where the sun is still shining, and he could see the exact same illuminated clouds I'm looking at off to his distant east. Finally, during a total lunar eclipse, you can discern a curve to the earth's edge shadow that moves across the face of the moon. You are likely only seeing a very small portion of the earth's surface casting that shadow. The earth is so large that even from 20 miles up it would be difficult to discern much curvature (20 miles is 0.0025 of earth's diameter). In terms of a basketball, that's less than 2 millimeters above its surface. Your eye and pupil diameter is too big to get that close to the ball - if it could shrink accordingly, your ball horizon would appear almost flat at 2 millimeters altitude. 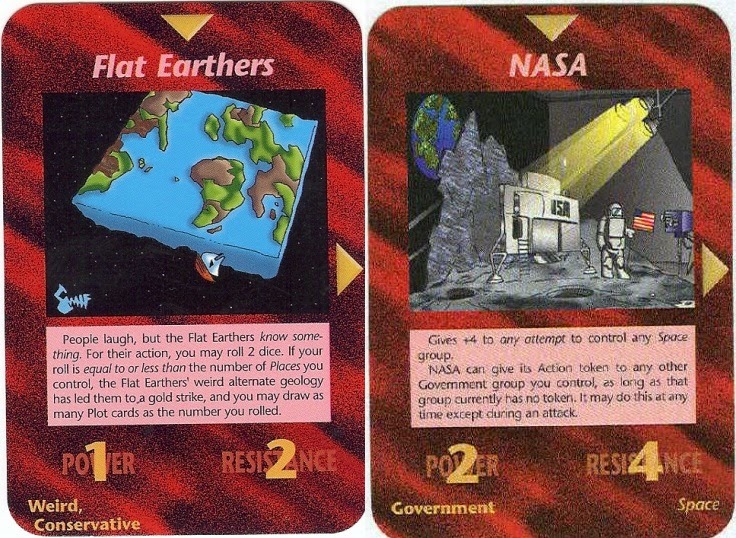 How come everytime 'flat earth' theory is mentioned people question why we dont fall off the edge? Even if there was no ice wall at the edge it does not mean there wouldn't be some kind of atmosphere or ether that the earth would be enclosed in. In our current model rockets must reach 25,000 miles per hour to breach our atmosphere, so if you accept this reasoning it can work two ways. The great year of the zodiac is roughly 25,000 years. Earth's circumference is roughly 25,000 miles. Escape velocity is 25,000 miles per hour. You hear the masons are heavily into numerology I wonder if there is anything to these figures. The Sun never sets or rises, it stays the same distance over the Earth throughout it's daily/annual journeys around. The appearance of rising and setting is all based on the law of perspective on plane surfaces. The Sun and Moon spotlights are perpetually hovering over and parallel to the surface of the Earth. From our vantage point, due to the Law of Perspective, the day/night luminaries appear to rise up the Eastern horizon, curve peaking high overhead, and then sink below the Western horizon. They do not escape to the underside of the Flat-Earth as one might imagine, but rather rotate concentric clockwise circles around the circumference from tropic to tropic. As early as the time of Pliny, there are records of lunar eclipses happening while both the Sun and Moon are visible in the sky. The Greenwich Royal Observatory recorded that “during the lunar eclipses of July 17th, 1590, November 3rd, 1648, June 16th, 1666, and May 26th, 1668 the moon rose eclipsed whilst the sun was still above the horizon.” McCulluch’s Geography recorded that “on September 20th, 1717 and April 20th, 1837 the moon appeared to rise eclipsed before the sun had set.” Sir Henry Holland also noted in his “Recollections of Past Life” the April 20th, 1837 phenomena where “the moon rose eclipsed before the sun set.” The Daily Telegraph recorded it happening again on January 17th, 1870, then again in July of the same year, and it continues to happen during lunar eclipses to this day. Therefore the eclipsor of the Moon cannot be the Earth/Earth's shadow and another explanation must be sought. I see what you're saying Maria, at the edge of the horizon during Sunrises/sets the Sun certainly does change shape blurring with the lower part expanding outwards due to the density / magnification effect I explained, but it never looks "elliptical" as you mentioned. Perhaps since the Sun is such a perfect circle of the brightest celestial light, the elliptical change in shape you're expecting simply does not apply in this case? For example, the distance between Rio de Janeiro and Cape Town is 3775 miles, and the distance from New York to London is 3470 miles. If the flat earth theory was correct, it would be something like 4x as far between the southern hemisphere cities, since you'd have to traverse the two points further from the center of the earth. I have found your work to be truly inspiring for those of us with open minds and hearts. Every pt. you have made makes logical sense regarding flat earth. The time travel from Sydney to South America would be even much further distance on a flat surface than Sydney to Johannesburg, as calculated in this video. This is such a critial question to re-solve, yet i cannot find an answer that makes sense to me or other respondents on the video. Maria, If New York is at 40 degrees North, 74 West and London 51 North, 0 West, then you are covering 11 degrees of latitude and 74 degrees of longitude in a space of 3470 miles at those inner "higher" degrees. Rio is 43 degrees South, 23 West and Cape Town 40 South, 18 East making a difference of only 3 degrees latitude and 41 degrees of longitude in a space of 3775 miles at those outer-laying areas. This seems consistent with the flat Earth model and not the globe Earth does it not? Thanks Jamie, looking up the flight distances and times for Sydney to Chile is 7063 miles taking 14 hours 38 minutes, while Sydney to Johannesburg is 6900 miles taking 14 hours and 20 minutes. What exactly about those flight times/distances do you consider a "big huge problem?" The earth might have another shape but not flat, how long does it takes from Alaska to Japan? It says that it takes seven hours a flight to get there, so how does this explains it. I don't understand why people are confused by these flight times? So it takes 7 hours from Alaska to Japan, okay, and that means the Earth isn't flat how? What am I missing about these objections? Eric, your coordinates for Rio and Capetown are not right, they are 43 West and 23 South for Rio, and Capetown is 34 South and 18 East. So if we calculate the distance from the coordinates we get more or less the same distance (ca. 3600 miles) This distance works for the earth as a globe, but if the earth were a disc, the distance on the "south hemisphere" (Rio-Capetown) would have to be much larger (than Newyork-London). Wouldn't it? Thanks for the correction. So it's a difference of 11 degrees latitude and 61 degrees longitude between Rio and Cape Town. And NY to London has the same 11 degrees of latitude change with 74 degrees longitude change. So 74 degrees of "Northern" longitude in this example translates to 3470 miles while only 61 degrees of "Southern" longitude translates to 3775. 13 degrees less, yet 300 miles more. Sounds consistent with the flat Earth model doesn't it? These are the actual distances, but: the distance between the cities on the "southern hemisphere" should be bigger if the earth were flat. OK Eric , let's say you're right for a moment, but there's still other puzzling stuff, and maybe your measures are flawed? I remember Concorde pilots and passengers reporting that from the higher flying levels they could see the curvature of the earth. Your measuring guides are probably too small,or lacking elevation to see the small curvature of our massive Earth enough. It is after all a pretty Massive planet! Science has explained everything that exists as nothing more than existing of atoms and molecules. Yet if that is the case it doesn't provoke man to worship consumerism. No, it just makes man think 'well if that's the case, then nothings worth taking too seriously'. Of course you may be right, and mans search for meaning would have to destroy such a concept because man instinctly believes he is more important than a bunch of atoms and molecules. You raise some very good points. I personally agree that man is being denied his divinity as materialism and consumerism becomes the new distraction. I don't necessarily believe that the world is called round to disempower the world populations. this tied in with Eric's observation about the UN emblem being of flat earth with no Antartica on the map and the 33 degrees inside the laurel leaves. are they telling us what they have known and we all are beginning to figure out? Ok Earth is flat. What does this mean then? That our world was planned, we are centre of universe, and more powerful than we have been led to believe than a bunch of daft consumers consuming the latest fashion fad? Blaaaa?? You may be right, but this kind of speak is the core basic type rant that conspiracy theory is more or less based on. Personally i have always thought this way, so it never entered my mind wether the world was flat of round. Believing the world was/is round, i still se no reason to believe that er are special and here for a purpose. So, Eric, it's this basic reason of WHY?, that i disagree on. Who cares if Earth is Flat or round? It doesn't necessarily mean we are here by accident. Wea can choose to ignore most scientific beliefs as to our purpose here. 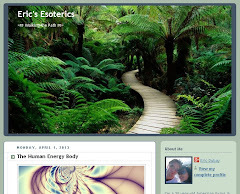 Ok Eric, here it is... Why are we here, who are we, and what is our purpose on earth? One question, why wouldn't the waters of the oceans fall over the edge of a flat earth? I know it sounds like a stupid question. But I'd like to hear your answer, thank you in advance. I will ask again since I never go a straight answer, just some canned response. What shape does water take when it isn't in a container or on a surface? (i even posted a droplet video) I don't think it is a flat disk. Yo Eric. You're header on the site still reads 'Exposing the GLOBAL conspiracy'. Thought you might want to change that. Also, as important as this is, I think you should do a follow-up to your podcast of 'Solutions to the System'. People have to start learning to value what is actually valuable. Maybe you could talk about foraging and common plants that are edible in urban areas. Markus Rothkranz has a lot of information on that. People need to see how that is important in overcoming tyranny, being less dependent on money and physically/mentally healthier. People need to boycott corporations. Also remind people that acting overly angry about these things rarely helps the argument. We really could have utopia on this planet when people get over their emotional issues and stress, and regain the passion for life that has been drained from them. You could talk about how the illusion of scarcity fuels all war. In a utopian society, the only job anyone would have is what they are passionate about, and everyone would be an artist of some sort or another. Since the most powerful food grows out of the ground by itself without the need of human help, we would not need agriculture, and with the current ignorance trumped, people would not want animal products. It really does come down to fear and love and we need to start promoting what we love more than ripping on everything that is wrong. Keep exposing the dark things as well, but remind people that we are still in control, we just have to stop giving in to the vampirism. We just need to show love and remind people how great it is to be alive. The only thing holding us back is ourselves. These organizations would be nothing without their fearful ignorant sheep, and all we need to do is empower those sheep, with knowledge. I just finished Christine Garwood's book, "Flat Earth" and Zetetic Astronomy by Parallux. The one question i keep trying to reconcile in my mind is how the North Star cannot be seen from the Southern Hemisphere, yet should be if the Earth is flat and the Polaris is at the center. For Anonymous, Antarctica is not the tiny “ice-continent” found confined to the underside antipode of astronomer’s globes. Quite the contrary, Antarctica literally surrounds us 360 degrees, encircles every continent, and acts as a barrier holding in the oceans. The most commonly asked questions, and the greatest mysteries yet to be solved are: how far does the Antarctic ice extend outwards? Is there a limit? What lies beyond, or is it just snow and ice forever? Thanks to U.N. treaties and constant military surveillance, the North Pole and Antarctica remain cloaked in government secrecy, both purported “no-fly/no-sail” zones, with several reports of civilian pilots and captains being shooed away and escorted back under threat of violence. And Oz10, you're just a troll and I'm done feeding you. Earth is flat and the longer it takes you to figure it out just means you're dumber and more brainwashed than everyone else. Congratulations. Second Anonymous, the "Global Conspiracy" is exactly what it is I'm exposing, so I'm certainly not changing that. I'm a big fan of Markus' work as well and have posted it here more than once. You are quite eloquent with a good energy, are you engaging in any kinds of activism / solutions yourself? Jamie, viewed from a ball-Earth, Polaris, situated almost straight over the North Pole, should not be visible anywhere in the Southern Hemisphere. 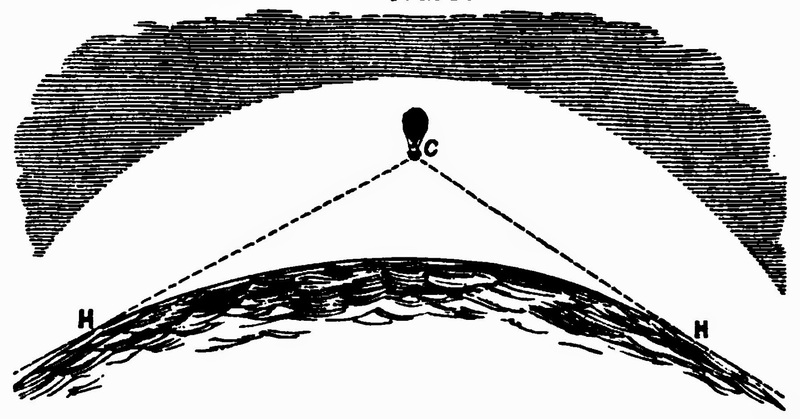 For Polaris to be seen from the Southern Hemisphere of a globular Earth, the observer would have to be somehow looking “through the globe,” and miles of land and sea would have to be transparent. Polaris can be seen, however, up to approximately 23.5 degrees South latitude. 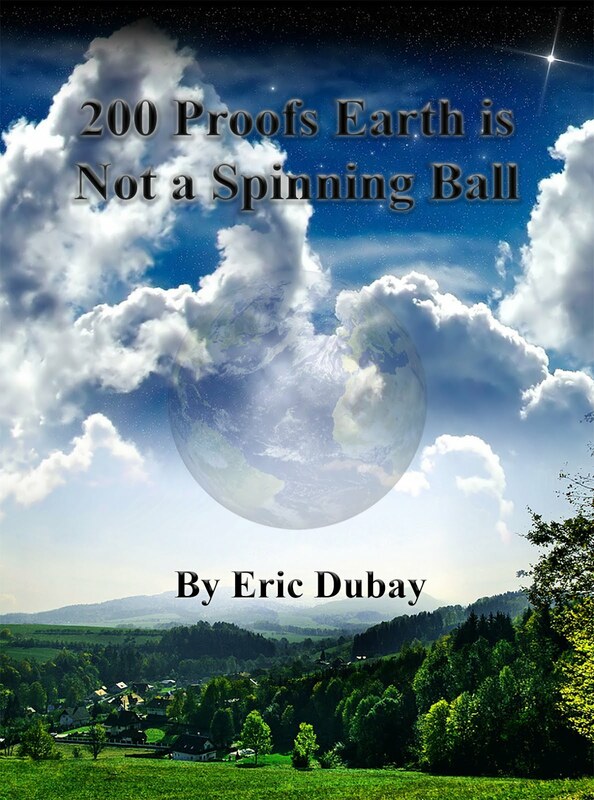 To account for this glaring problem in their model, desperate heliocentrists since the late 19th century have claimed the ball-Earth actually tilts a convenient 23.5 degrees back on its vertical axis. Even this brilliant revision to their theory cannot account for the visibility of many other constellations though. For instance, Ursa Major, very close to Polaris, can be seen from 90 degrees North latitude (the North Pole) all the way down to 30 degrees South latitude. The constellation Vulpecula can be seen from 90 degrees North latitude, all the way to 55 degrees South latitude. Taurus, Pisces and Leo can be seen from 90 degrees North all the way to 65 degrees South. Aquarius and Libra can be seen from 65 degrees North to 90 degrees South! The constellation Virgo is visible from 80 degrees North down to 80 degrees South, and Orion can be seen from 85 degrees North all the way to 75 degrees South latitude! An observer on a ball-Earth, regardless of any tilt or inclination, should not logically be able to see this far. Some heliocentrists have even tried to suggest that the Pole Star’s gradual declination overhead as an observer travels southwards is proof of a globular Earth. Far from it, the declination of the Pole Star or any other object is simply a result of the Law of Perspective. The Law of Perspective dictates that the angle and height at which an object is seen diminishes the farther one recedes from the object, until at a certain point the line of sight and the seemingly uprising surface of the Earth converges to a vanishing point (i.e. 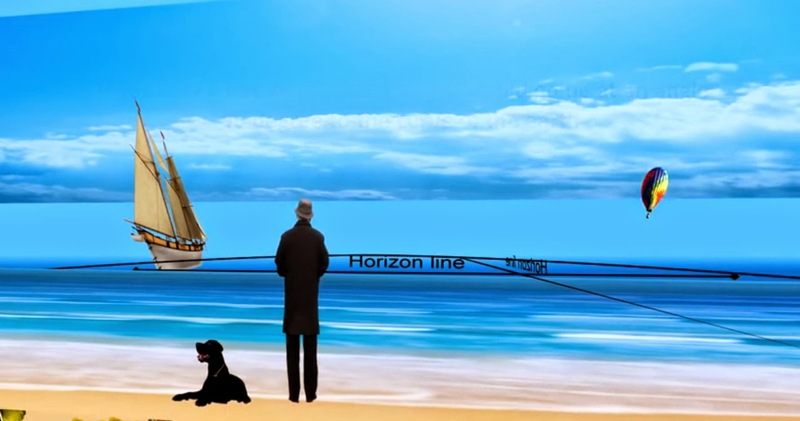 the horizon line) beyond which the object is invisible. Is it possible that Agartha may be inside it, with giants residing there? Is there any truth here, or is it disinfo? I have read, that at death it is possible that Heaven is on the inside of the Earth, rather than above us! Since dawn began man has set forth to explore every corner of the earth. He has crossed the South pole, so this 'flat earth' analogy, doesn't fit. You're sources of proof are probably just as ropey and questionable as you seem to question nasa and concordes 'curved glass' effect. Given such tiny u tube screen perspectives its no wonder no curves are seen as the 'proof' you offer. the earth is large, and needs large perspectives to see horizon change. simple as that! i may agree with some of your stuff, (which has already been said decades ago by many other wise men), but on this topic you are coming off as rather nutty. post this if u dare! Long time reader. I believe in exploring all possibilities. The one thing that pops into my head is circumnavigating Antarctica in a ship, which i have read has been done. Wouldn't the time to circumnavigate around the continent be a big disparity in ret vs fet? Other then that most everything else makes sense. ....that pulls our oceans up and down everyday, yet has 1/6th the gravitational pull of earth. ...which is why NASA says we escape Earth's gravity pull at some 138 miles up.. Yet the Astro-nots endured such un-Earthly temps in their mobile, flexible, mm thin space suits, driving their Lunar craft around perfectly,(though gravity is only 1/6th of earth meaning they had to carry weight to keep it grounded!?!) and all cameras, and live support devices worked near perfectly on every single mission? ...yet we being on Earth are only 238,000 miles from the Moon, yet the Sun being 93 million miles away causes such massive temp gradients on the moon but a goldilocks for us on Earth..
Just more evidence of the massive fraud perp'd on all us sheeple. I keep going back to the fact that Nazi Scientists came to the U.S. thru Operation Paperclip and Werner Van Braun ran NASA's Saturn rocket for 25 years. ...and the Vatican built the first modern observatories in 1582...and own more telescopes than all. To the last commenter, they mean the moon is rotating around the earth, facing the same direction. 28 days is about a month, and that's only one rotation. So you would only see the one side of the moon. Not that I believe them, but it would make sense in that context. Ok, so if we live on a flat plane, then describe it. You say it is surrounded by Ice. What happens if you fly an aeroplane over the edge of the world? Have people attempted yet to prove this flat eart theory by doing just that, rather than 'at home laptop proof'? I need a drawing of this flat Earth, with placement of the countries, and how it is currently navigated. For Anonymous, your comment is "utter tripe" and when you figure out the Earth is flat and motionless just as it appears, laugh a little bit at how brainwashed you were and leave me a comment about how you were the "nutty" one for completely believing something totally contrary to your eyes, experience, experiments, and common sense. These accounts are incompatible with the globe Earth model in which Antarctica is only about 12,000 miles around. Jamie, good points, thanks for the comment. As gravity does not exist, however, it is certainly not the Moon's "gravity" which controls the tides. If the Moon is only 2,160 miles in diameter and the Earth 8,000 miles, using their own math and “law,” it follows that the Earth is 87 times more massive and therefore the larger object should attract the smaller to it, and not the other way around. If the Earth’s greater gravity is what keeps the Moon in orbit, it is impossible for the Moon’s lesser gravity to supersede the Earth’s gravity at Earth’s sea-level, where its gravitational attraction would even further out-trump the Moon’s. Not to mention, the velocity and path of the Moon are uniform and should therefore exert a uniform influence on the Earth’s tides, when in actuality the Earth’s tides vary greatly. Furthermore, if ocean tides are caused by the Moon’s gravitation, how is it that lakes, ponds, and other smaller bodies of standing water remain outside the Moon’s grasp, while the gigantic oceans are so effected!? And for the third Anonymous, no one has attempted a complete North / South circumnavigation of Earth, though I would love to see some brave independent aviator do a Ustream live attempt for everyone to see, or have the UN accept Matt Boylan's challenge and let him cross from any entry point across Antarctica with his team using ropes and spikes, waiting for him on the supposed "opposite" side. They won't allow any such thing, a bunch of hollow Earth believers led by Rodney Cluff have chartered voyages to the North Pole and been turned around by Russian military vessels under threat of blowing them out of the water. The same has happened repeatedly to Jarle Andhoy. Eric, why don't you do something to offer physical proof for us. Anyone can offer sweet words of proof, but who can walk the talk? 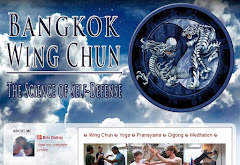 I'm asking for you to leave your Bangkok comfort zone. Leave you easy life of pointless distractions by teaching martial movements. Do something real about your beliefs. We need more proof than mere words. You're so jelly, anonymous troll. I do walk my talk. America was my comfort zone, I live far out of it. Martial arts are not pointless distractions. And if you still haven't figured out the Earth is flat, you don't need me to babysit you, go "do something real" about it and find out yourself. Eric, i've been to Thailand many times, but had to leave to travel to Cambodia, etc. Found Thailand far too boring, too westernised, too easy. I suppose teaching martial arts might help you to empower yourself, but don't let those same beliefs cross over to a false sense of self righteousness, whilst you live 'right', in Bangkok where it's estimated that 100,000 tonnes of lead is in the air..
Just realized Asgard/Agartha is the north pole! The 'center' of the FLAT Earth, not the core. Even the Santa story, Santa represents Odin, who lives at Asgard, and his reindeer represent the staggs of Yggdrasil. There is even an icy region surrounding Asgard on drawings of Yggdrasil. We aren't allowed to go to there because there is more land their with the so-called Gods living their who are possibly giants! Even Plato's decription of Atlantis fits into this idea of the world. I wonder where the other worlds shown on the Tree of Life diagrams are? outside the ice wall? or were these only existing before the flood and the races of humanoids and creatures extinct now? IMHO, Eric is doing a great service to Mankind. I successfully worked on Wall Street for over 20 years and met many brilliant men and women, who only cared about there paychecks. Eric has done some very heavy lifting for the greater good of all. His analysis is empirical and plain, look for yourself, common sense. If you cannot contribute to the community education process and must attack the presenter, maybe you should just keep it to yourself. I for one have learned a great deal from his deep research and independent inquiry. And from other comments so are many other inquiring minds. so if you cannot say anything nice...STFU! Thankyou for the response, I certainly do appreciate that! Plz do not be surprised, when you get shills, trolls & agents who are trying to attack you! It is obvious that they don't like this to get out! If everyone knew that we are here by design & divine purpose, think what a different world this will be! No more man made dividing religion etc. Hope you won't mind, as I do have some other questions. If satellites are not there, what about weather pictures, how are they able to take a picture of a cyclone for example, if there are no satellite at the above? What about melting of ice at the North & South of the earth, is there a threat of the sea level rising, coz of it melting, due to global warming? I appreciate it, plz take care & stay safe! Satellite Hoax - Satellites Do Not Exist! Actually i was joking with Eric more than anything. It's a pity he didn't post my 'they eat insects' reply, or why he left America, lol! of respect for Eric because he is a man who is doing great stuff whilst being master at all these martial arts. 'jello', sure!...just a wee bit, but i'm also on my own spiritual path. The Flat Earth is more or less groundbreaking, but it's sure to attract some serious nay sayers, compared to my 'jesting'. Anon of the greatest anons. Hey Anon, it's more of a straight line path (on a ball or a flat Earth) to cut straight across lines of latitude like that rather than just flying the great circle route of a given latitude. This is not "because of the curvature of the Earth," but because a straight(er) line path is always quicker regardless of (and has no bearing on) the shape of the Earth over which you're flying. The Sun and Moon luminaries revolve around the Earth once every 24 hours illuminating like spotlights the areas over which they pass. The Sun’s annual journey from tropic to tropic, solstice to solstice, is what determines the length and character of days, nights and seasons. This is why equatorial regions experience almost year-round summer and heat while higher latitudes North and especially South experience more distinct seasons with harsh winters. Ok, so our planet is a flat disc. How thick is it, any idea? Human Eye is the Best Example of the Flat Earth! Wow, that's cool! Like we're all a glimmer in God's eye. Thanks Rinon. This video nicely explains the real distances and the flights on the south 'globe' and shows how the reality matches the flat earth model. Above, "Maria" and Eric discussed distances from New York to London vs. Rio to Capetown--- similar latitudes north and south. I don't believe the comparison was resolved. I'm not sure that's enough of a difference given the latitudes are not exactly the same. This needs more work. It takes about 7-8 hours to fly from New York to Londo, while it takes about 11-12 to fly from Johannesburg to Sao Paolo, yet the distance is supposedly similar. So if the earth is flat can't you just head West from california follow a longtudinal line and just stay in course till you reach the edge? Because hypothetically looking at the map of you leave in a straight line and don't turn you won't hit the Asia. Please reply back I am curious to hear a response from a person who can answer me. The always horizontal horizon proves a video game where the scenery is always filling in for you as you need (look) at it. The Earth is a shapeless simulation decoded in your head. What countries are closest to the edges? Man this is great stuff! Please keep up the good work. We need to fly a plane to the edge! NASA wont let us do that will they? They will do anything to keep the truth from coming out! We need someone brave enough like you to go to the edge for the truth. It's a shame nobody os brave enough to fly to the edge and get proof. Imagine how rich they would be!! They would be so famous!! Probably everyone who ever tried it has been assassinated. You should write a book about this. Eric, how do you explain that the Moon from the Earth perspective a circular shape? If it is flat like our planet it would have to be perpendicular to our plane. Same fenomen should apply to Sun.